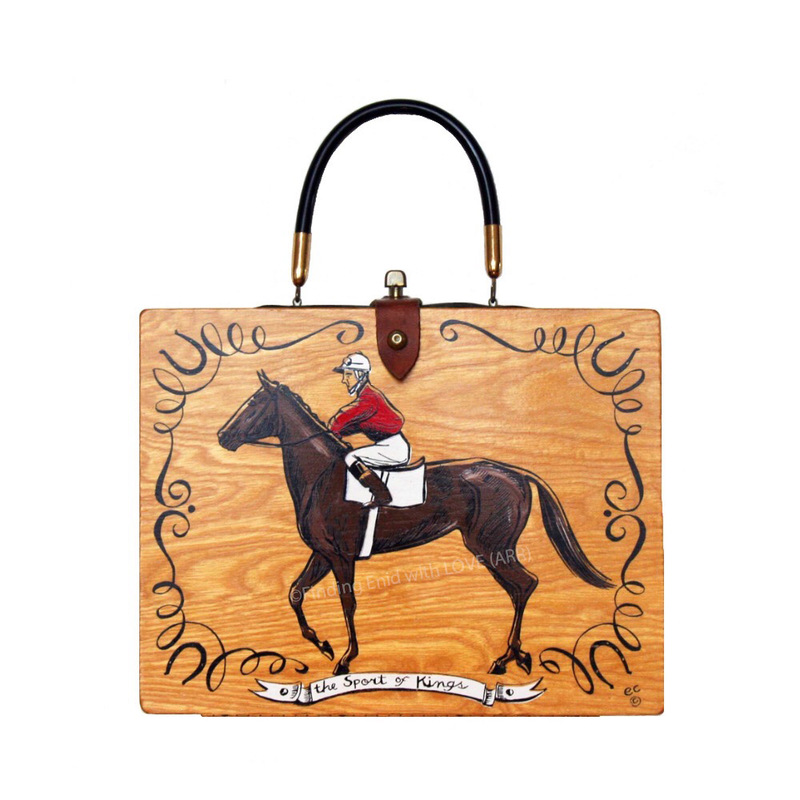 Box purse depicting a jockey in a bright-red silks and riding a bay horse. "the Sport of Kings" is screen printed in a white ribbon center bottom. This bag is not embellished with faux gems. One of multiple variations.